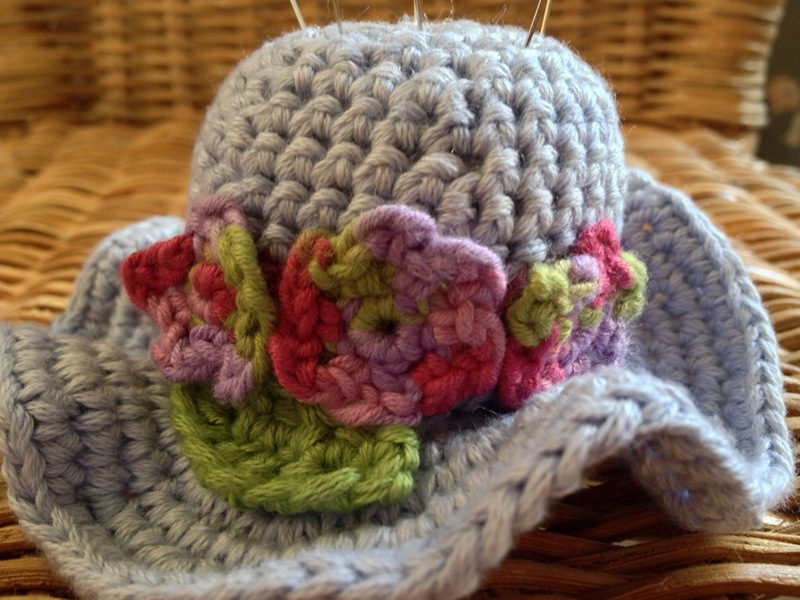 ← My flower brooches in Simply Crochet! 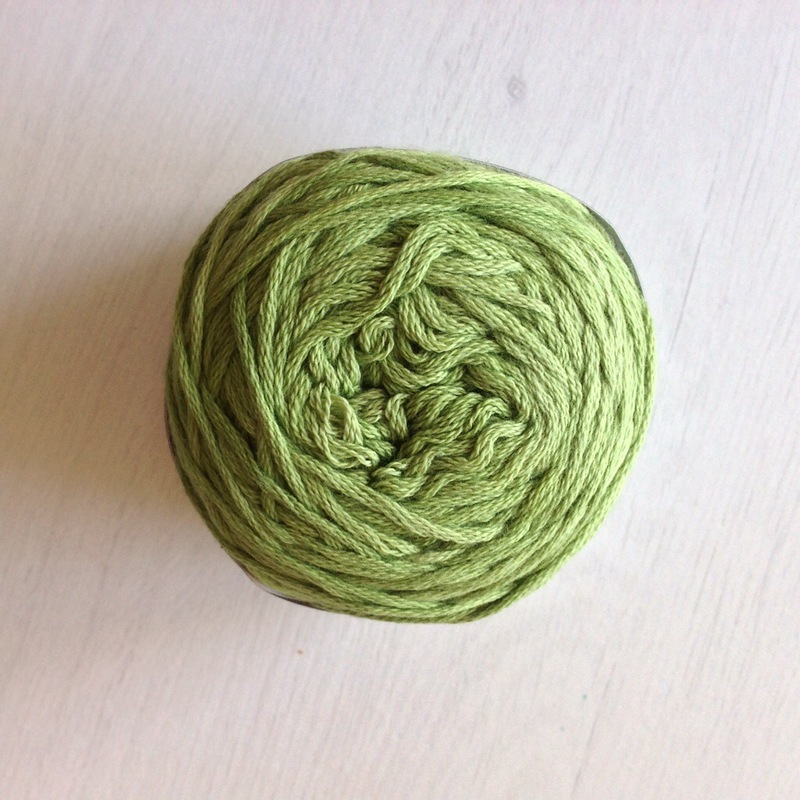 A few weeks ago Natasja of CrocheTime blog asked me if I would like to do a review of yarn she sells in her Etsy shop. I’m always happy to play with yarn, especially one I’ve never used before so was just happy for Natasja to send me a selection of whatever she wanted me to try. 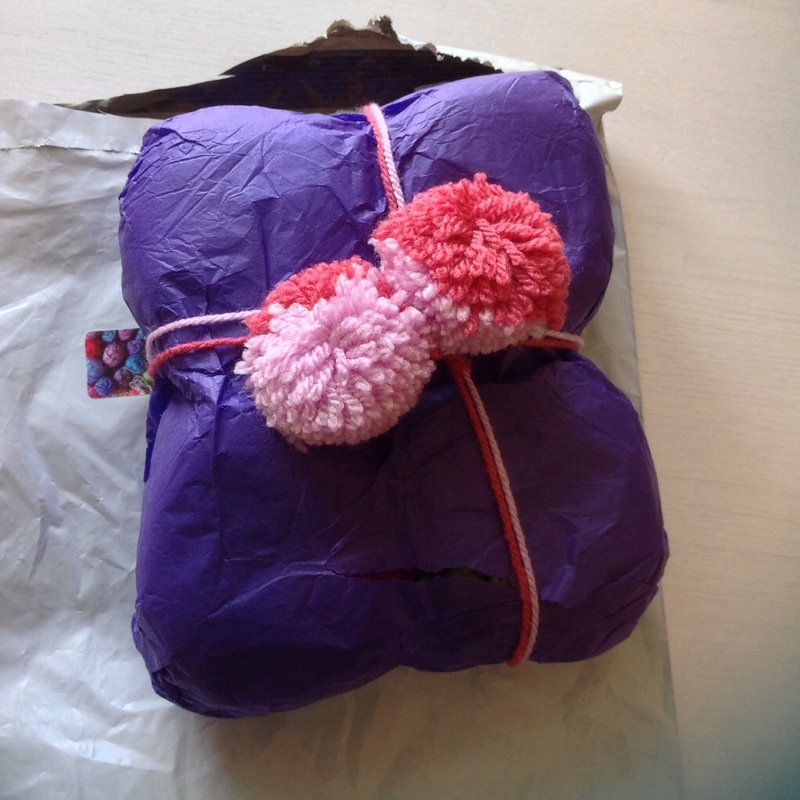 When she told me it was Vinnis Colours Nikkim cotton, and sent me a link, I changed my mind quickly – the colours are so delicious! This is my selection. This was one I took to my knitting group one week, it was admired and fondled rather a lot! The knit group nodded and agreed that yes, it has been hand dyed as you can see the variation in colour. Finally I could carry on knitting, but wondered if the ball might be best put into a bag at my feet as I worked – just to avoid distraction! 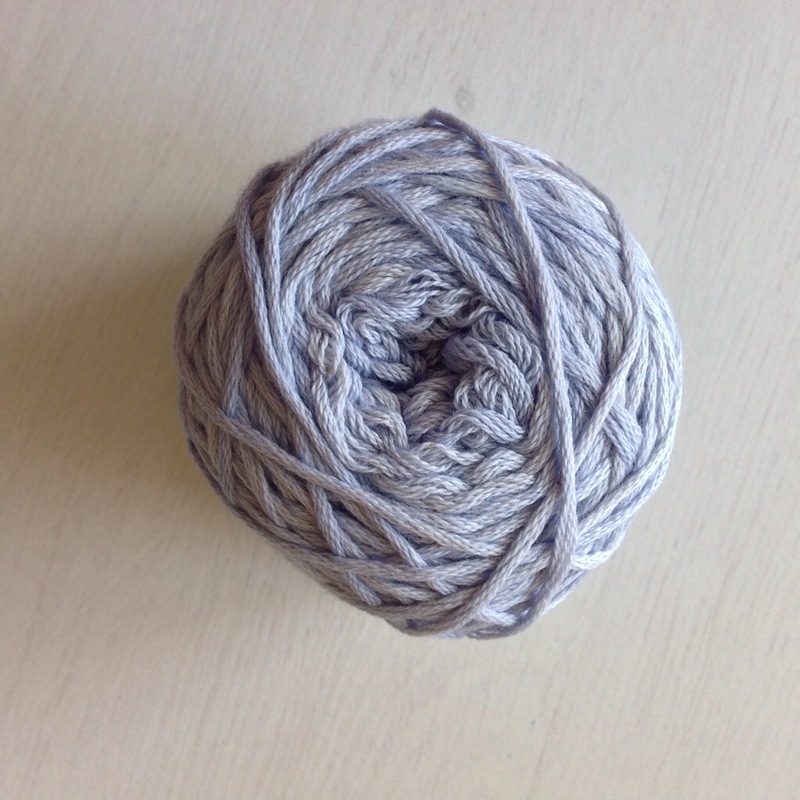 It’s DK weight cotton, comes in 50g / 119m balls. The recommended needles are 3.25mm-4mm and hook size is 4mm. Natasja said she’d noticed that my blog has gone to the dark side lately (! *mhah haha ha!* !) and wondered if I would knit something to test how well the cotton works with needles. 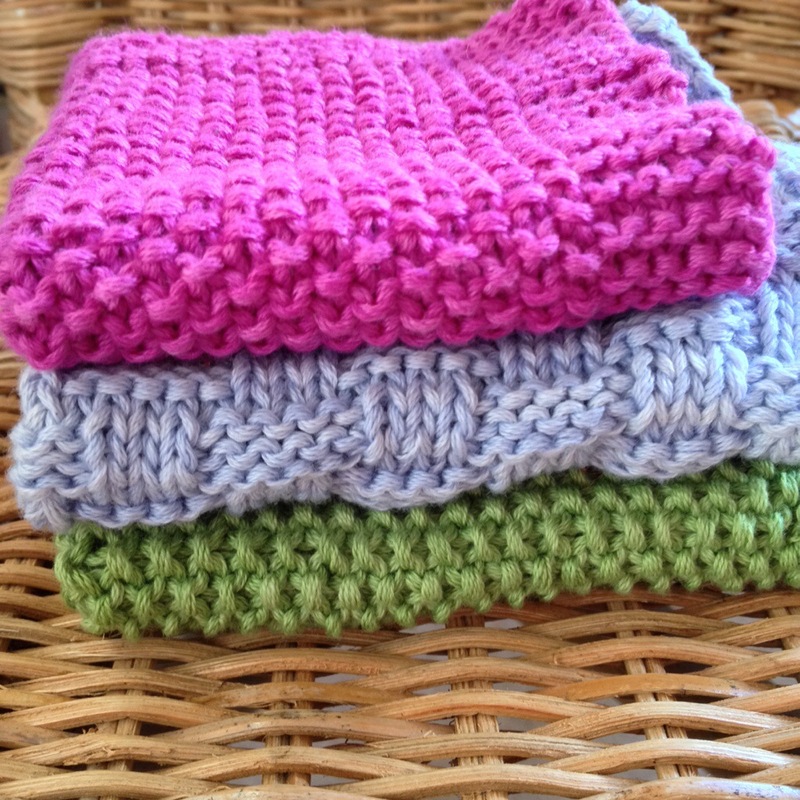 I really like making practical knits so decided to try out a few different stitches and knit some washcloths. I’ll include my patterns in case you fancy taking up the knitty sticks and practising the dark art of knitting too! 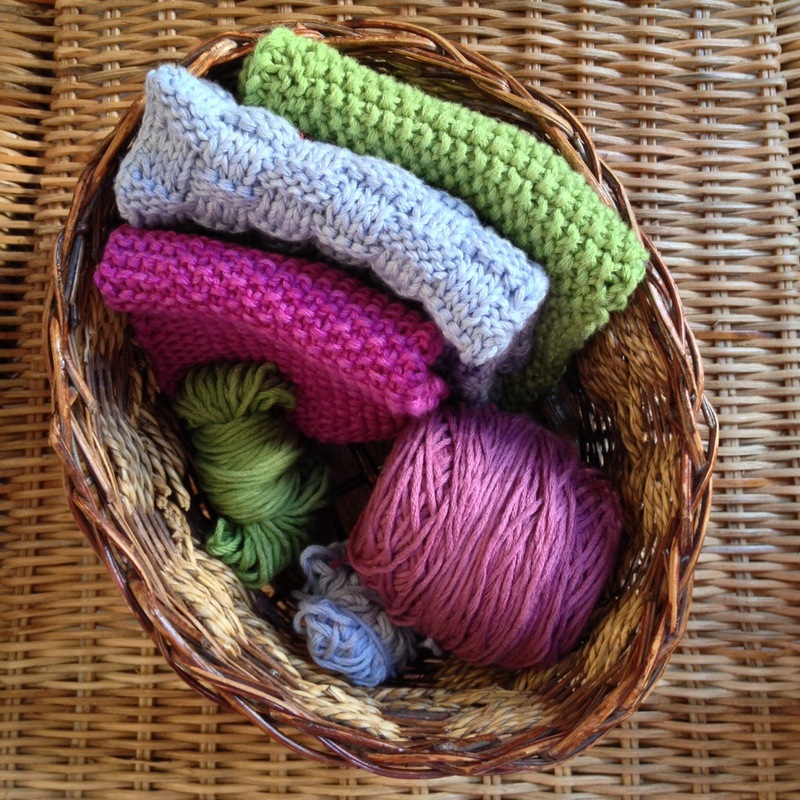 Repeat this row until the washcloth is 23cm / 9″” then K4 rows. Cast off and darn ends. 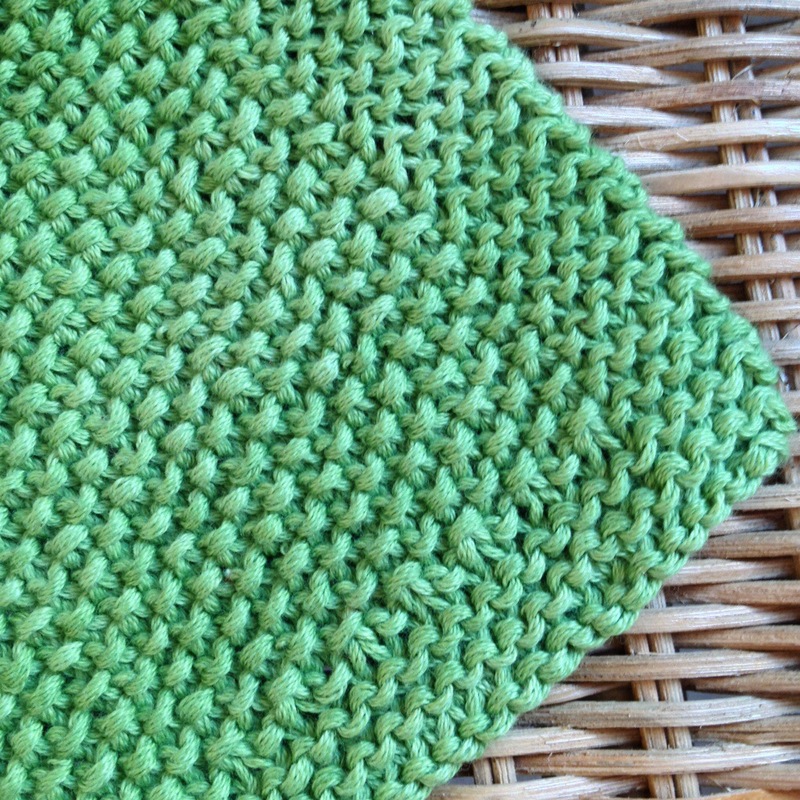 I’ve always really liked moss stitch – it’s got such a cute nubbly look and makes a nice textured washcloth. The cotton is beautifully soft to touch, the colours please and there was not a single knotted piece in any of the balls. There is one issue however, it can be very splitty. This was particularly frustrating with the first ball I tried (fern.) There is very light twist to the cotton which means that you sometimes have 7 little strands lying over your needle, rather than one. Undo a row and you’re really in trouble because you’ve loosened the twist even more. A smaller version of the above, I cast on 39 stitches for this one. 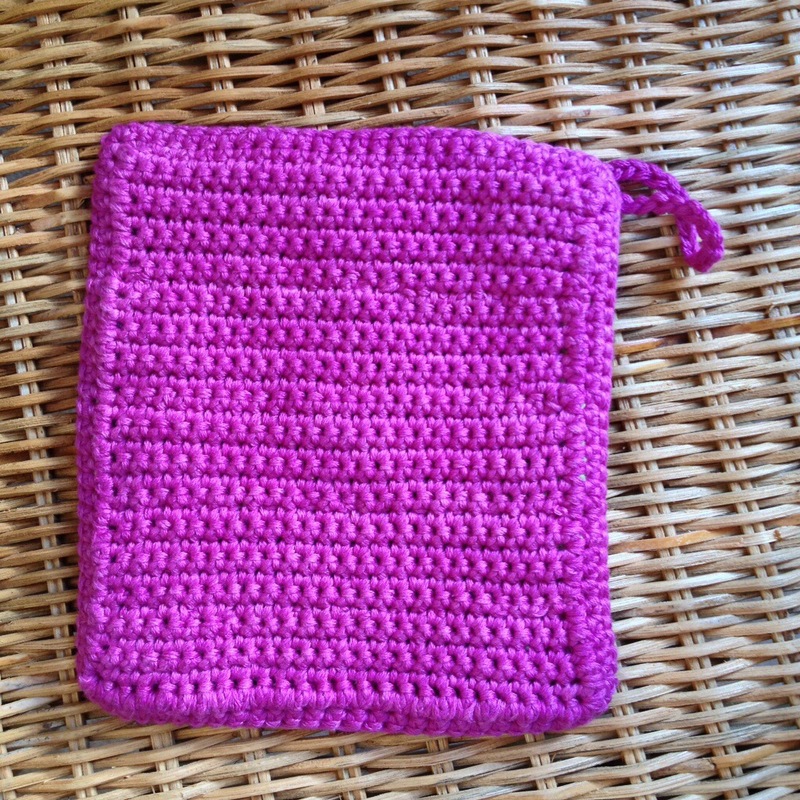 This washcloth measures 20cm x 20cm / 8″ x 8″. OOoh my favourite stitch, but do not try this pattern when you’ve had a G&T as it’s a bit tricky and you have to concentrate on some rows. I realised I had knitted a row, then undone it a few times and couldn’t work out the problem until I realised I’d just had my Friday early evening drink! Vinnis cotton gives good drape; the knitted material has lots of movement giving a good flow. 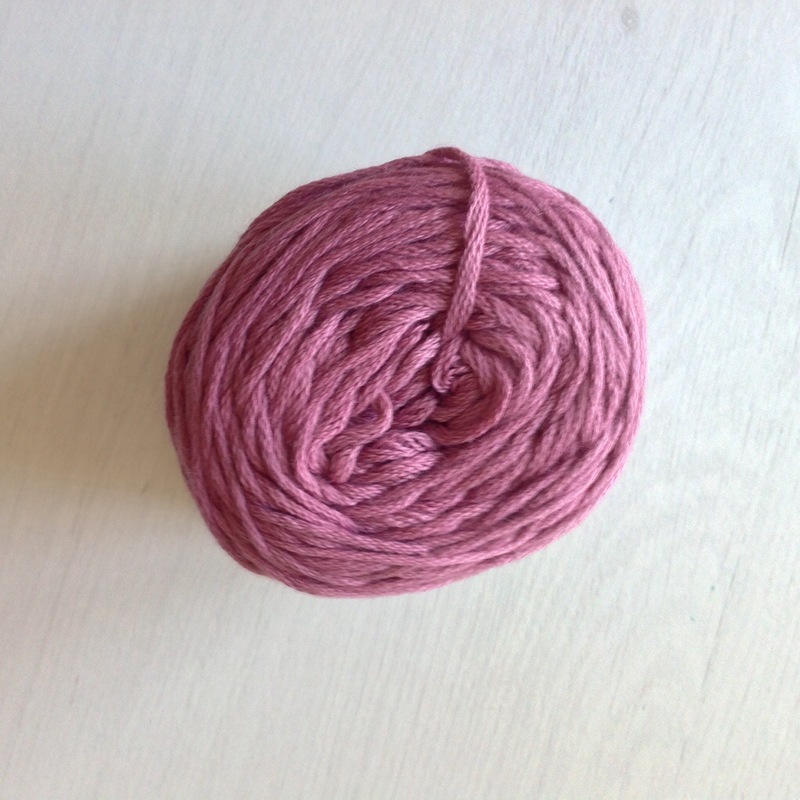 Obviously this isn’t important for the items I’ve made but I reckon it could be a very good yarn for cotton garments. 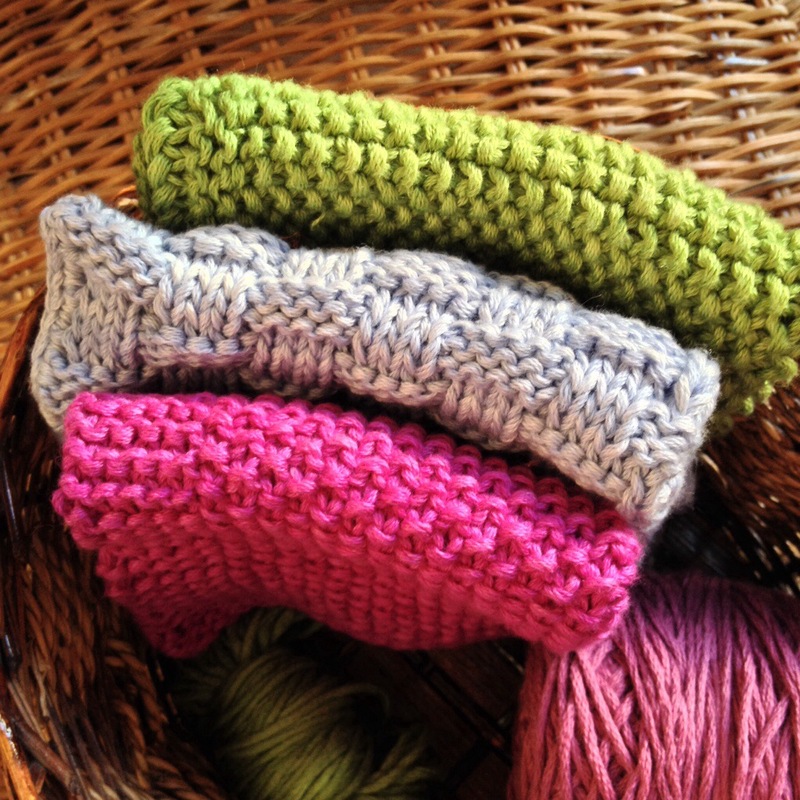 Just be sure to do a tension swatch and check your gauge before you begin. 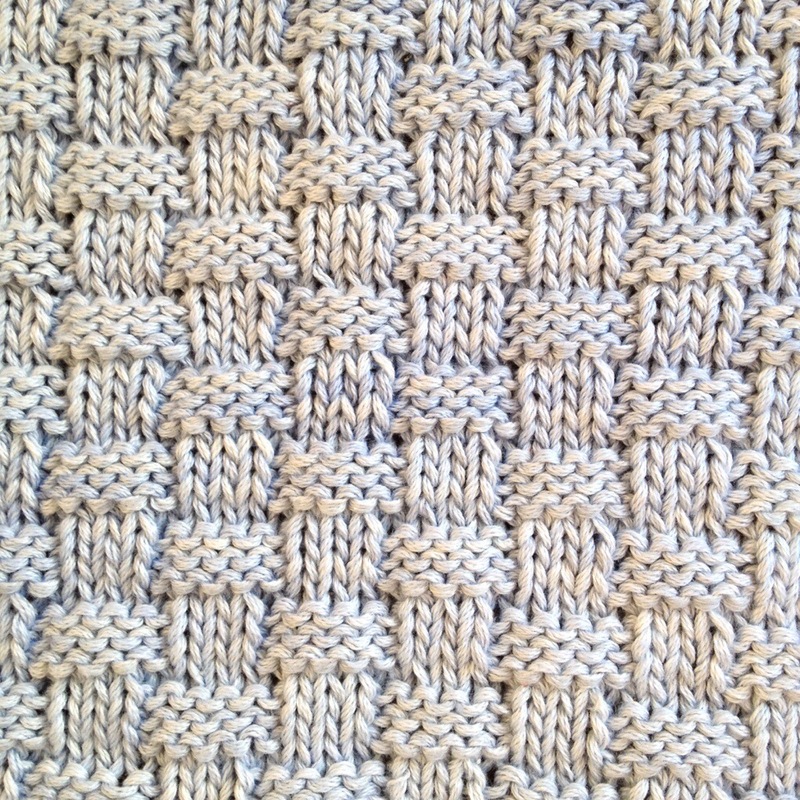 Repeat R1-8 until square or the desired length. I cast off all but the last stitch, whipped up a 3.5mm hook and double crocheted all around the cloth. By this time I was yippeeing after all the knitting! This stitch would make a super scarf in a chunky yarn on big needles, I can just imagine it. I enjoyed looking through my stitch bible for something new and this was a good find. Just don’t tipple while you do the latter rows because you’ll probably come a cropper like me. I really wanted to try crocheting the cotton and wondered if the splittyness would be better. It is, but you still have to keep your eye on the yarn as the hook can get tangled up, or you miss strands, resulting in rogue loops. I used my thicker Clover Amour 4mm hook (rather than my slightly thinnner 4mm metal hook) and thought it produced a lovely chunky material. 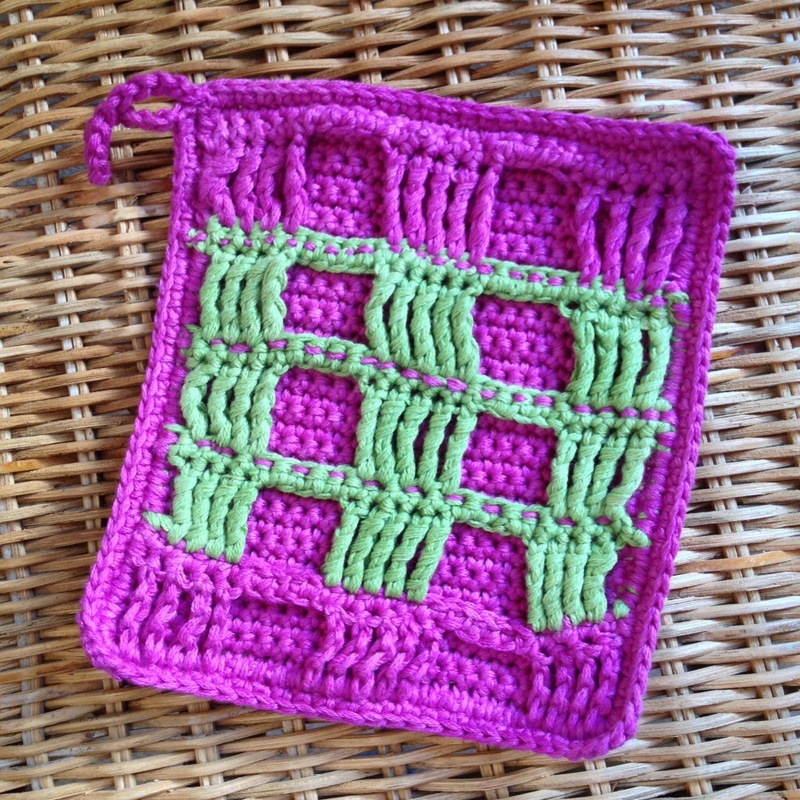 Cara Medus’s potholder pattern caught my eye in issue 15 of Simply Crochet so I gave it a whirl. Vinnis cotton is good for something like a potholder when a double layer of fabric produces a very good thickness. I’m pleased with this make and it’s going to be in use tonight when I toss pancakes! Happy Shrove Tuesday all. The flowers are in King Cole bamboo variegated cotton, I made my own leaf as I wanted a nice juicy looking one. 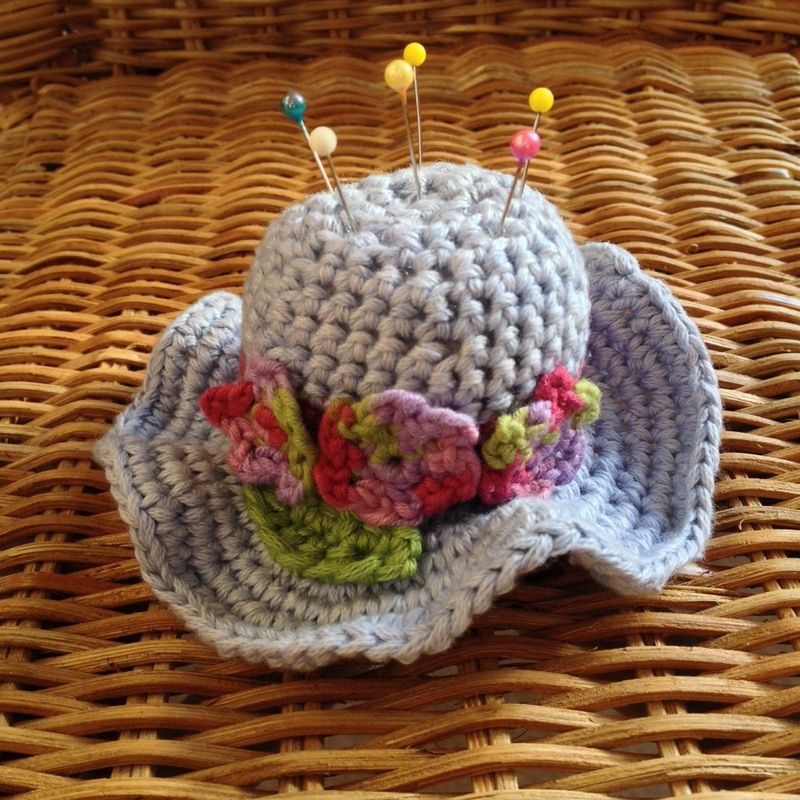 I sewed on the leaf and flowers and darned all ends before filling the hat with stuffing. I just filled it with toy stuffing. I figured if my sewing’s going badly and I stab the pincushion violently I won’t be breaking the pins on coins or weights at the bottom! 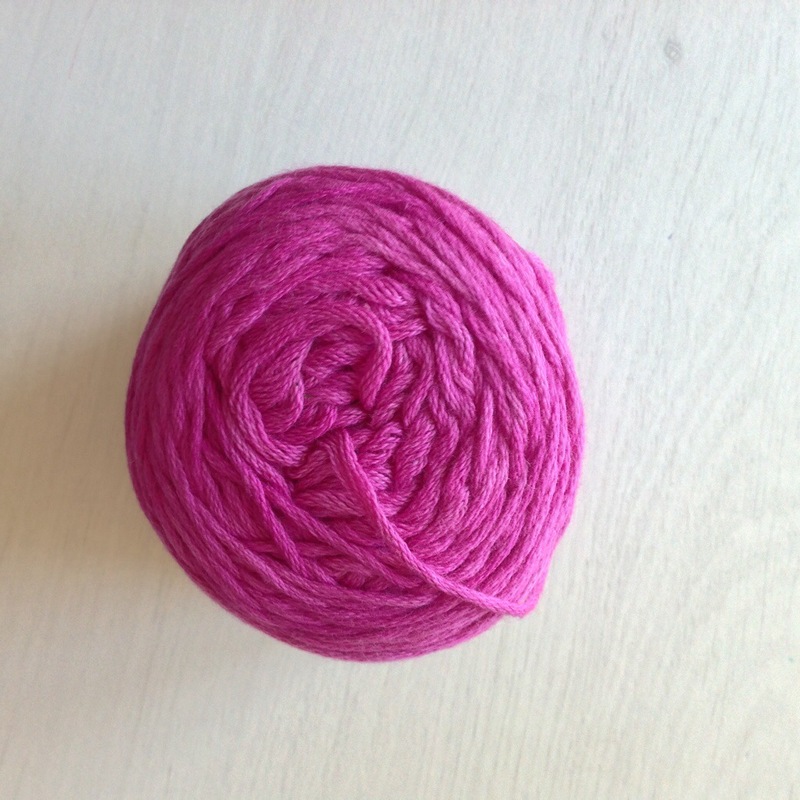 If you’re keen to try some Vinnis cotton you can buy some from Natasja’s Etsy CrocheTime shop, she will give a 10% discount to the first ten people to order using the following code: LITTLEROOM. 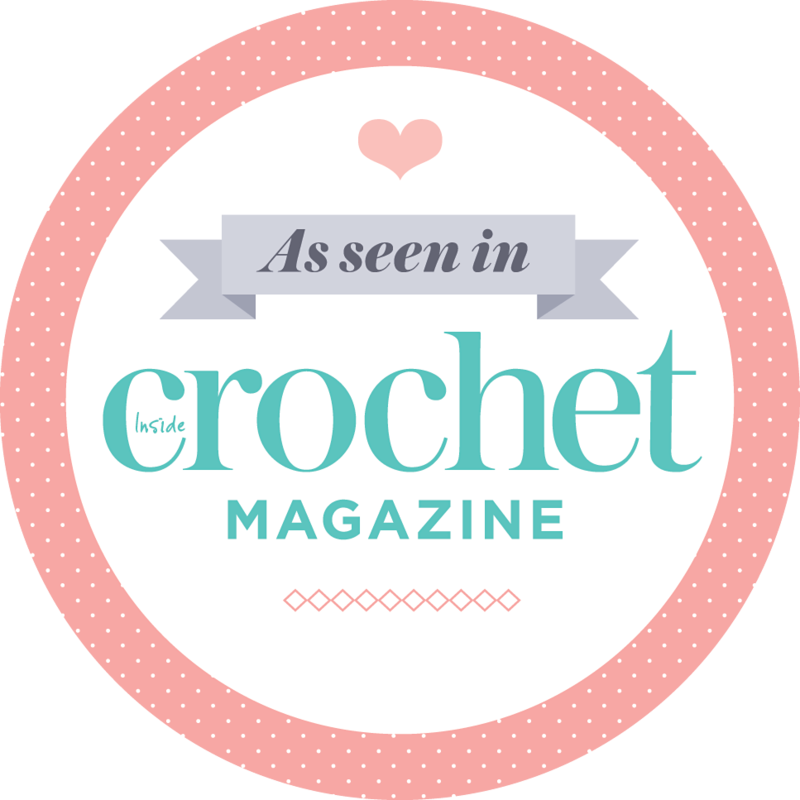 Helloooo to my new readers following Simply Crochet’s Edits magazine. It’s very nice to have you here. I’m loving seeing people’s curly twirly flower brooches appear, the first photo I was sent was from mrspip (the link should take you to her FB page.) It’s lovely. Very interesting. The DK cotton yarn I use is a bit inclined to split too. Is this maybe a feature of all such yarns? I think it can depend on the amount of twist and whether it’s mercerised, perhaps thickness of the strands too? This is the thickest cotton I’ve used. The red violet looks like a really juicy colour. They’re all gorgeous colours, but the red violet definitely attracted more attention than any other yarn I’ve used at a knit group. That yarn looks nice, and I really want to try it now! Thanks for the review! 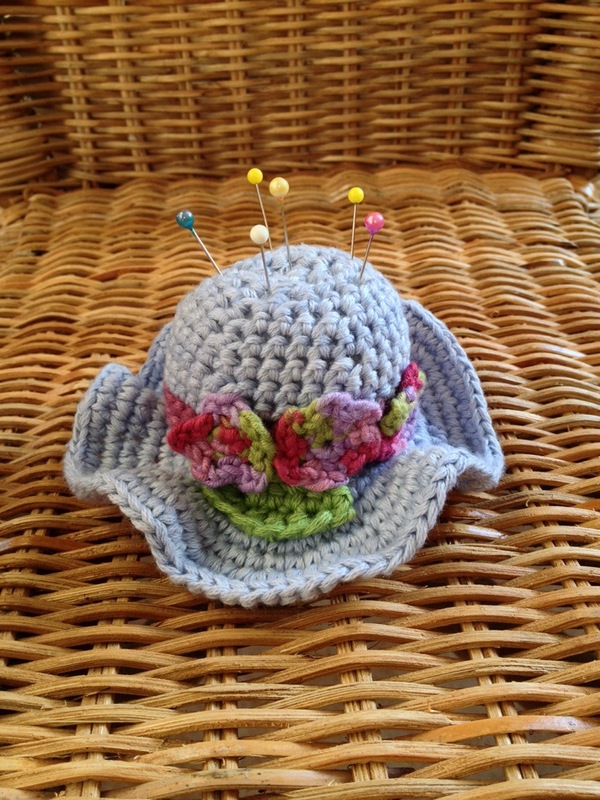 And your pincushion is really pretty — it’s the first one I’ve seen so far! I’m going to make your brooch when I can get ahold of the issue! 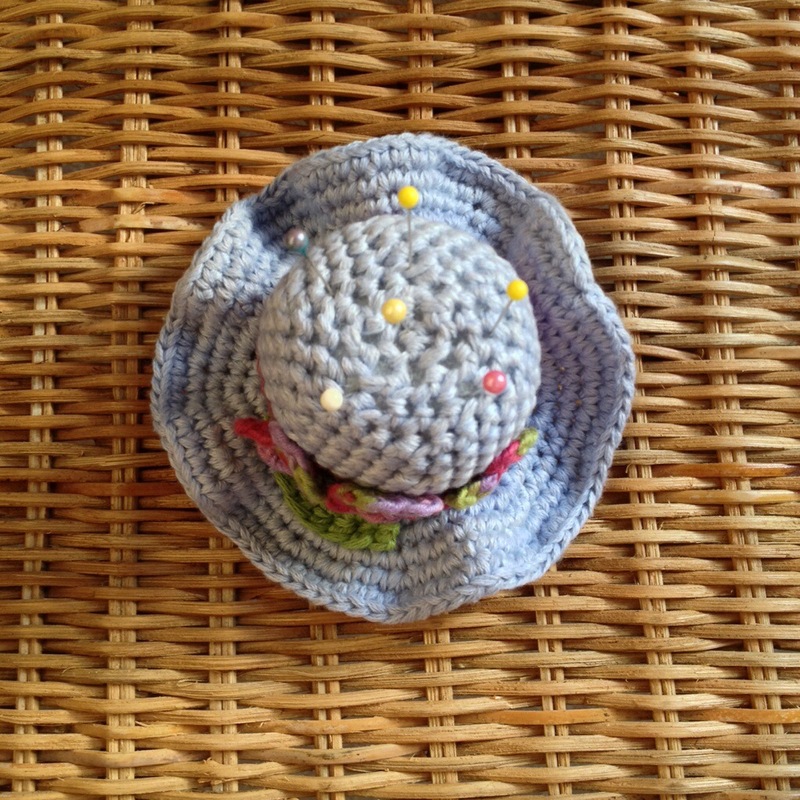 Thanks Hannah :-) Glad you like my version, it’s such a cute pattern. I know I’ll use it lots too. That cotton looks absolutely divine and of course you have made it sing!!! The magazine looks amazing – I can’t wait to get it. Love Kate xxooxx. 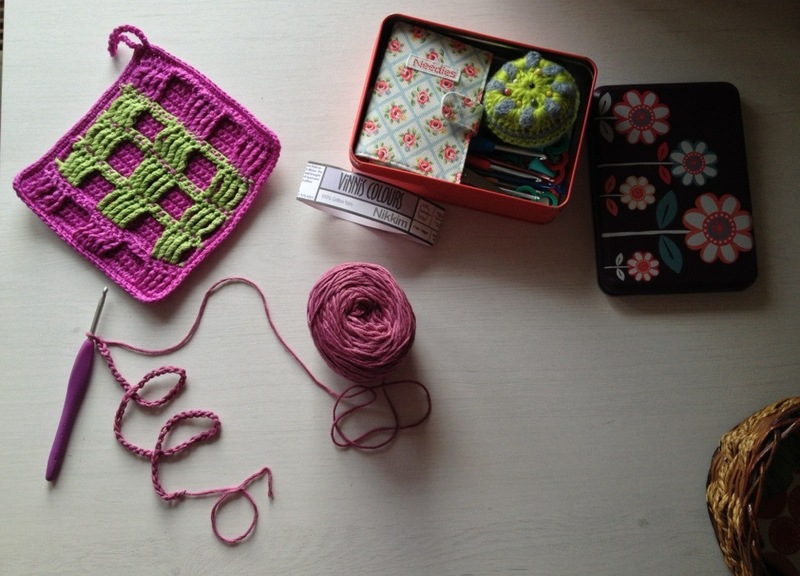 Thanks for doing such a great review and for making me consider taking up knitting! I was planning to knit up swatches for my Etsy shop anyway, and I think they might just have to be in moss stitch. It looks great! I want to reblog your post tomorrow if you don’t mind. 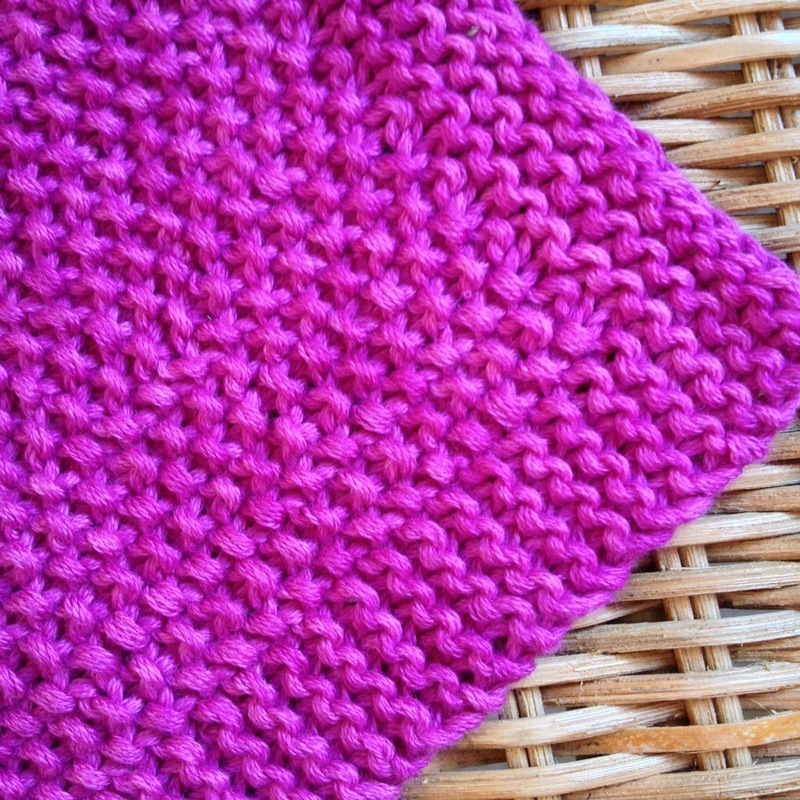 I do like being able to do both, and the elegance of knitting stitches sometimes wins over crochet (but Shhh! dont tell anyone I said that!) Crochet wins for speed and ease of taking one hook and a ball of yarn about, it’s far less faff and I’ve never had a hook snap like one of my posh new birch KnitPro Symfonie needles did last week. Wah!